Inspire students to develop global competencies for active, informed citizenship. 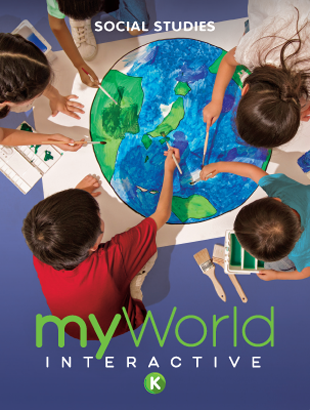 myWorld Interactive emphasizes project-based learning to explore the world’s places, systems, and cultures. 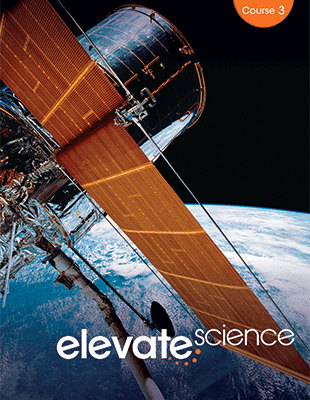 The program is available as World Geography Survey, or Eastern and Western Hemisphere editions. Each includes strong ELA/literacy connections and multiple teaching options. Lessons promote critical thinking, problem solving, evidence-based reasoning, and communications skills. 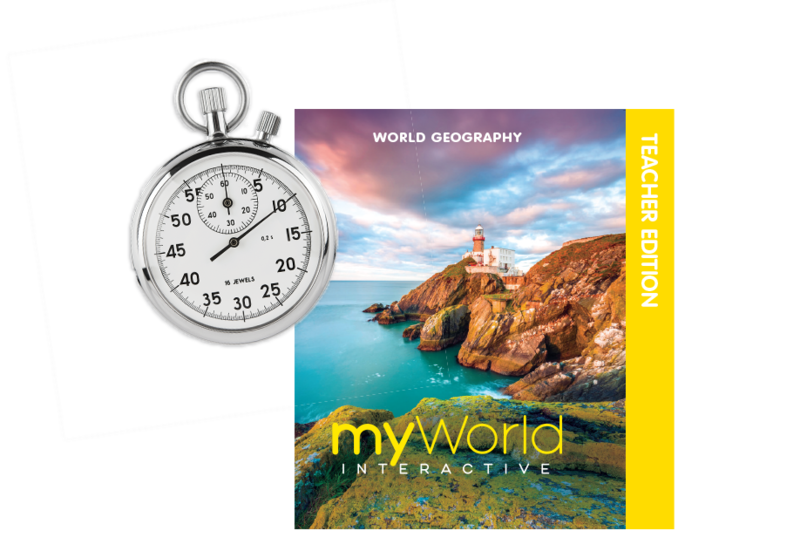 myWorld Interactive is the student-centered world geography curriculum that helps you implement your state’s standards and the College, Career, and Civic Life (C3) Framework for Social Studies. 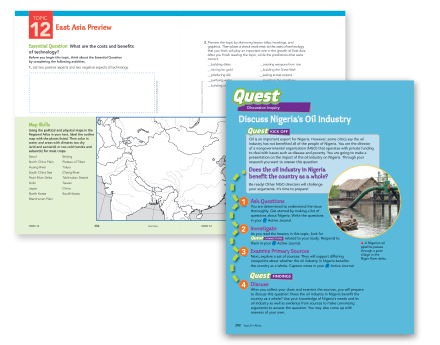 Project-Based Learning immerses students in real-world inquiry that introduces geographical topics, ideas, and figures. Projects align to the College, Career, and Civic Life (C3) Framework for Social Studies and foster students’ curiosity about geographical information, political issues, people, location, and climate. 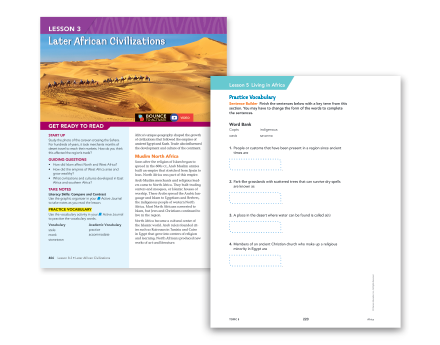 Integrated ELA lessons helps students read text closely, analyze information, and construct well-defended arguments. 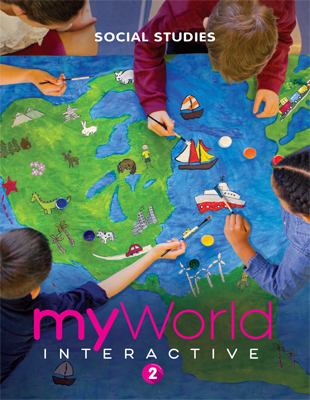 myWorld Interactive develops students’ language skills and vocabulary, reinforcing your ELA/literacy standards. This is our most flexible world geography curriculum yet. Multiple options and resources support culturally responsive teaching, differentiation, and delivery approaches. 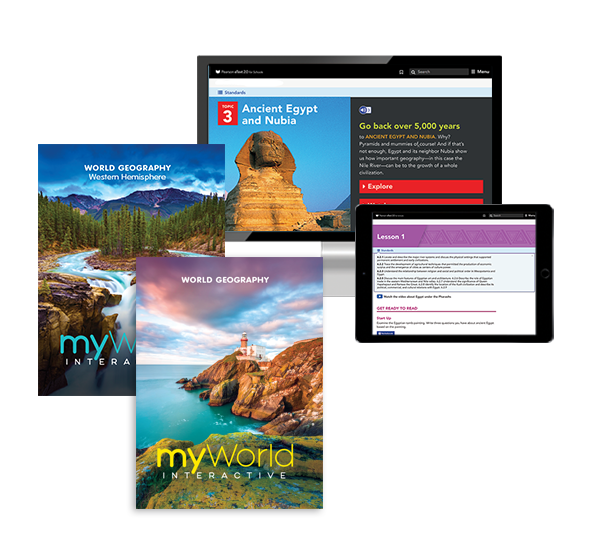 myWorld Interactive adapts to your schedule, your classroom, and your preferences.